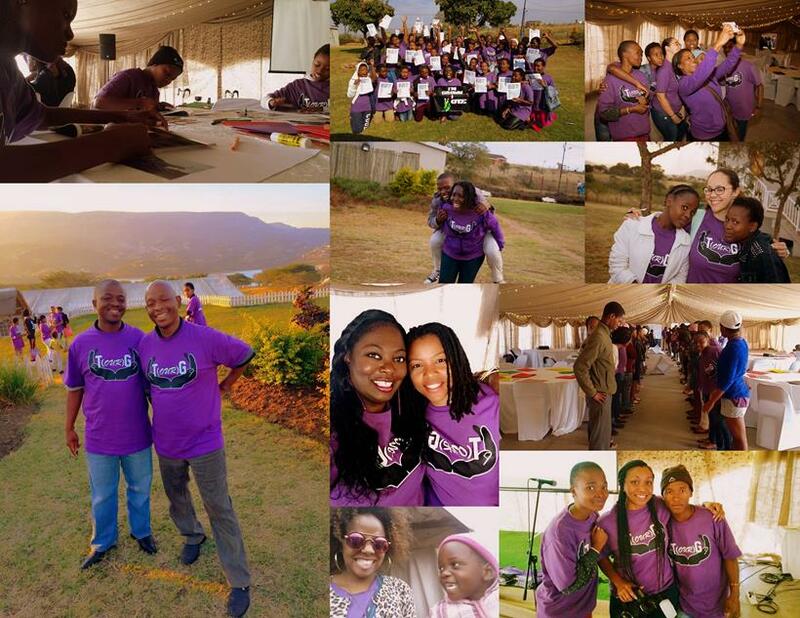 South Africa 2016 - TRG's 10th Anniversary Leadership Conference! Want to check out more photos from our 10th Anniversary trip? 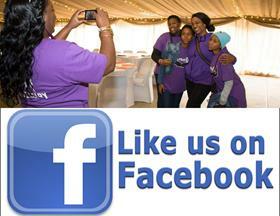 Follow this link to Facebook! Many thanks to the continued support of the Bishop Gregory L. Dixon Uniform Fund, our new fund donor Alpha Kappa Alpha (AKA - Elk Grove Chapter), and many others! 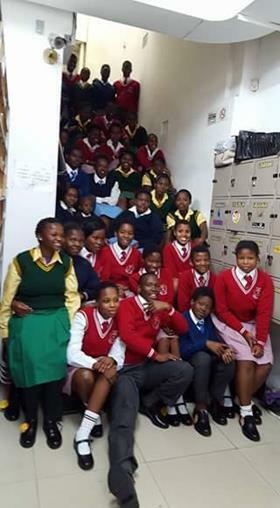 This year 32 students received brand new uniforms and shoes to attend school without fear or worry! To find out more about our annual Uniform Day click here! THE GOODWILL GAMES is our annual recreation fair that serves the entire community, not just TRG students. This year our current students helped with each activity, and our alumni ran the inner workings. 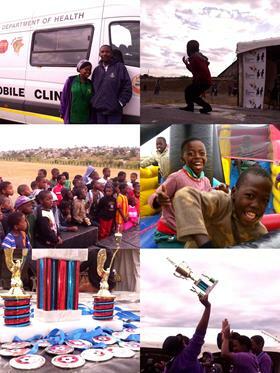 It was a day filled with much-needed fun, medals, food, free haircuts from alum/business owner - Zophila Sikhonde, and most importantly, free HIV/AIDS and TB testing for the whole neighborhood! To find out more about The Goodwill Games read more here. 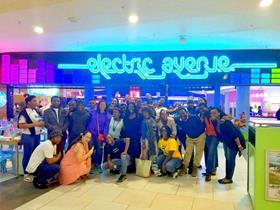 ANNUAL ALUMNI OUTING: This year we had an AWESOME night out at Electric Avenue (like Dave & Busters BUT with a bowling alley and a food court - so even better!) The night included bowling, arcade games, pizza, and tons of laughter! 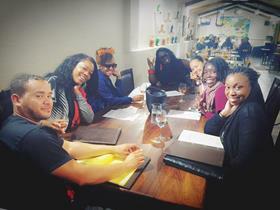 Our alumni are a critical part of our execution team throughout the year. So, without them, there is no TRG. The outing is our way to celebrate them annually! 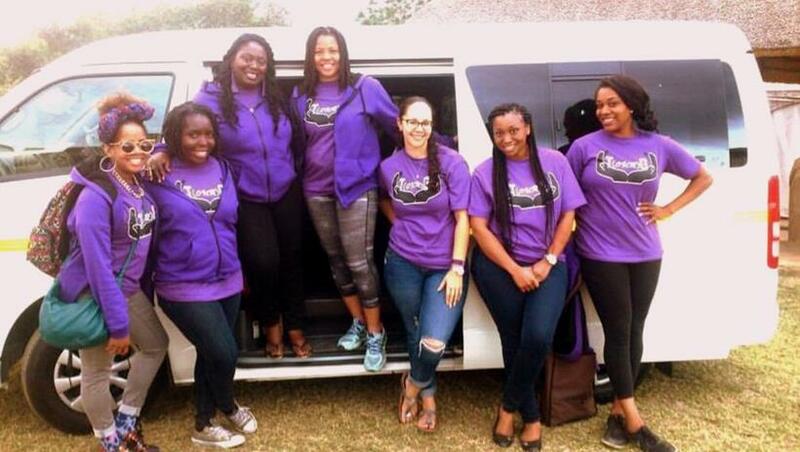 Want to travel with us to South Africa? Are you inspired by our work? Do you have a passion for youth? Do you enjoy traveling the world? Join us next year! Click here for more information! Greetings TRG Family and Friends! And the 10th Annual Goodwill Games! 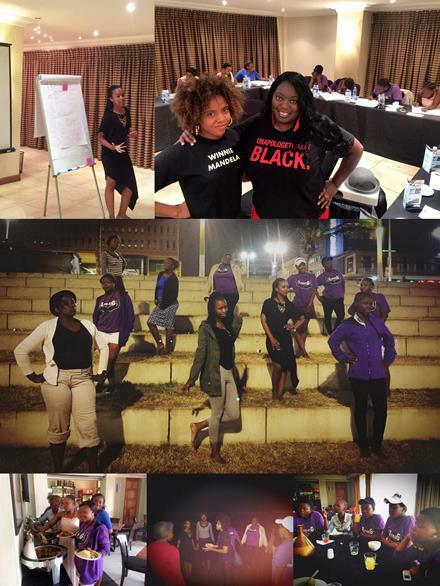 Click here to read more about each of the 2016 Leadership Conference workshops (click through each image for more info)! We would tell you more, but the rest of what happened is between the sisters and sisterhood that started that day and still continues to support each other across oceans via group chat and social media! This year, I volunteered for the first time with TRG. My purpose was to be of service to the organization and the students...and to learn. 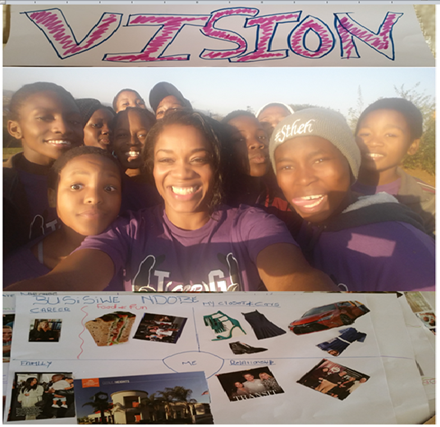 Teaching the workshop called “The Power and Purpose of Vision” bridged the message of love, faith, health, and life all the way from the United States to 120 students in a township in South Africa. Connecting experiences from how vision served to create success in my own life and translating that to students was unforgettable. The time spent singing with the children, dancing, and the smiles on faces reflecting joy and hope for the future. It connected me in such a universal, deep, and profound way that although I began the journey as a volunteer, at the conclusion of the conference, I had gained another family half way around the world. I am forever grateful for my TRG sisters - their courage and leadership. There is still an amazing need for time and resources. So, do you hear it? Yes, that is the call, the call to serve. It's your turn! To learn more about how you can join us next time - click here!